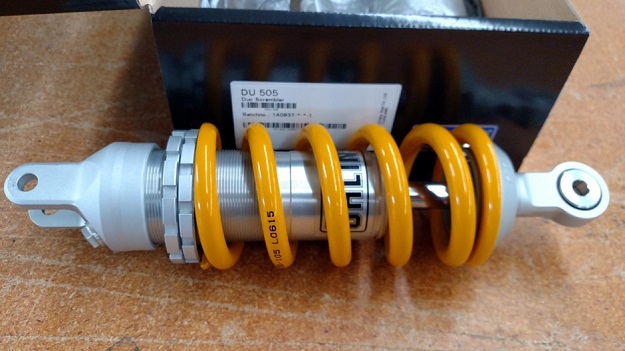 Ohlins S46DR1 /DU505 /46mm Body 16mm Shaft Divided Fluid and Nitrogen via internal floating piston with nitrogen one side and fluid other for fade free performance with 45 Clicks Adjustment. 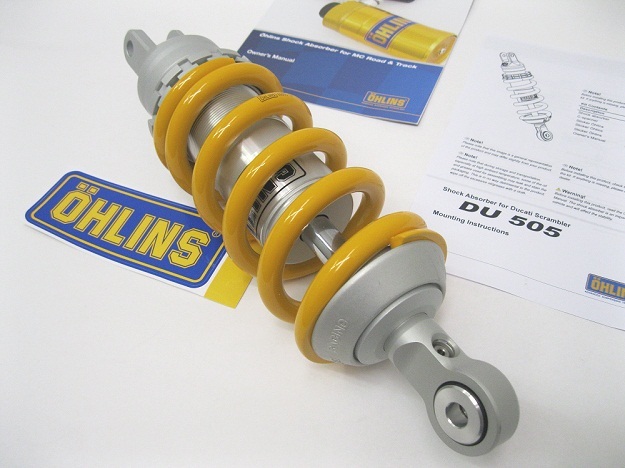 Multiple spring rate options to suite any weight range,FREE to swap springs at time of purchase (Reg $100.00 value) , FREE Ship lower 48 USA, ships preset ready to install. 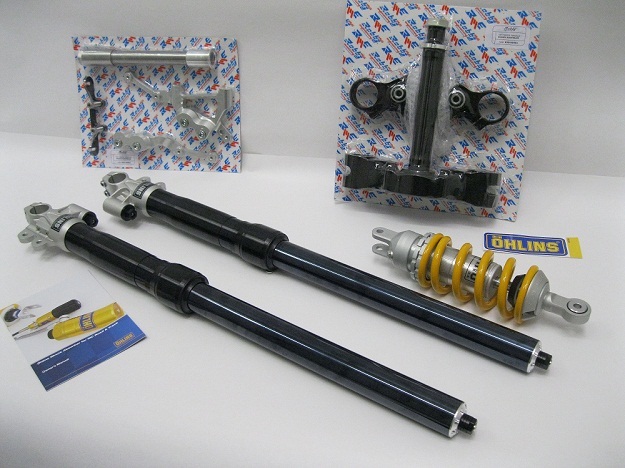 Two Ohlins Forks, Triple clamps, Axle, Spacers. 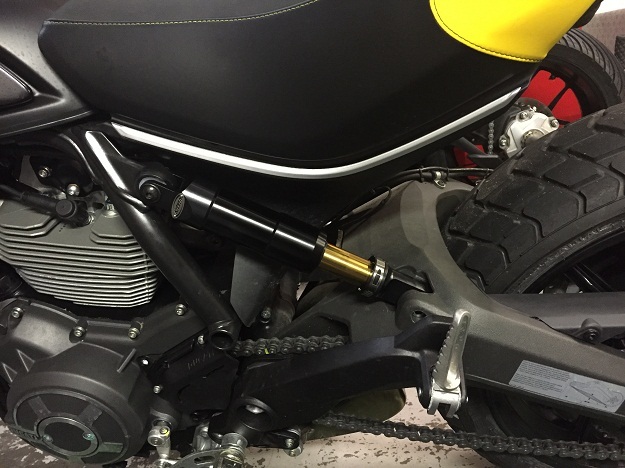 Ohlins Whole Forks with Ducati Scrambler Mounting kit including triple clamps, caliper mounts, axle, wheel spacers, fender mounts. 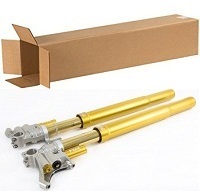 SOLD as KIT ONLY Ohlins GOLD or Ohlins BLACK forks, your choice when ordering. 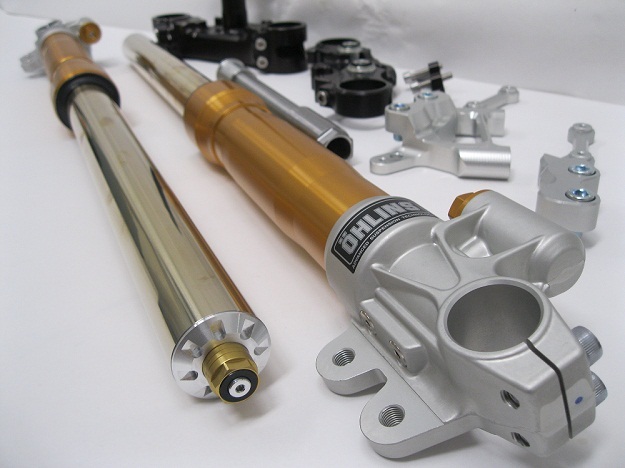 Ohlins Forks, Triple clamps, axle, brake caliper brackets and mount kit combo, transforms your bike into super Sweetness! 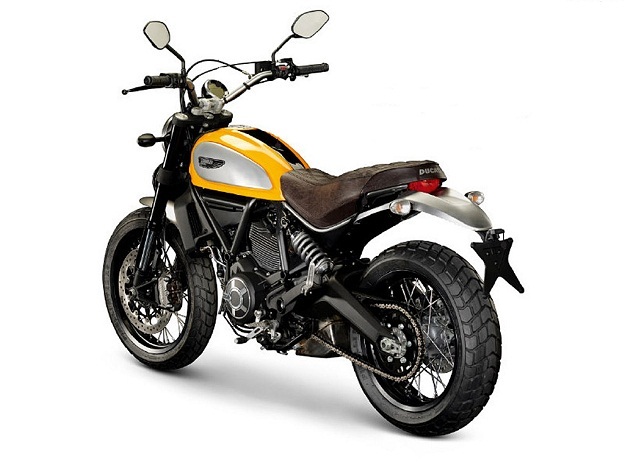 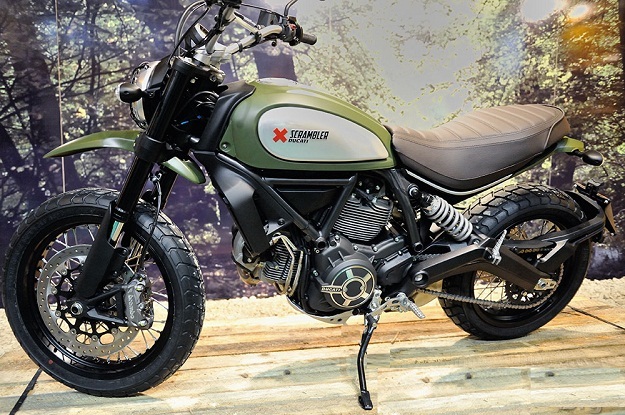 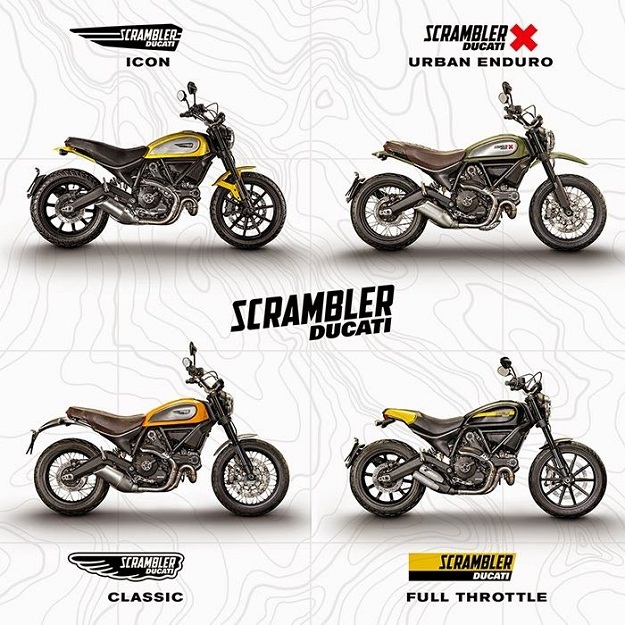 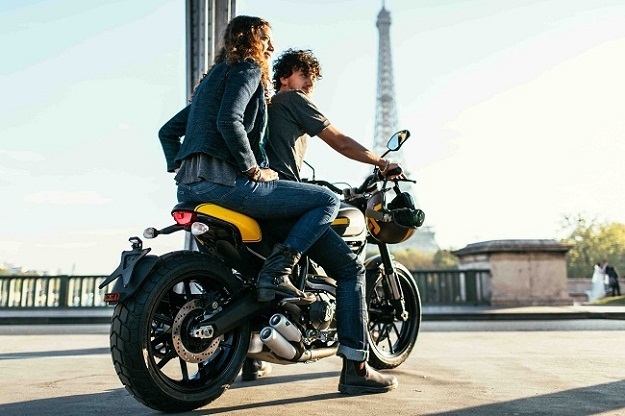 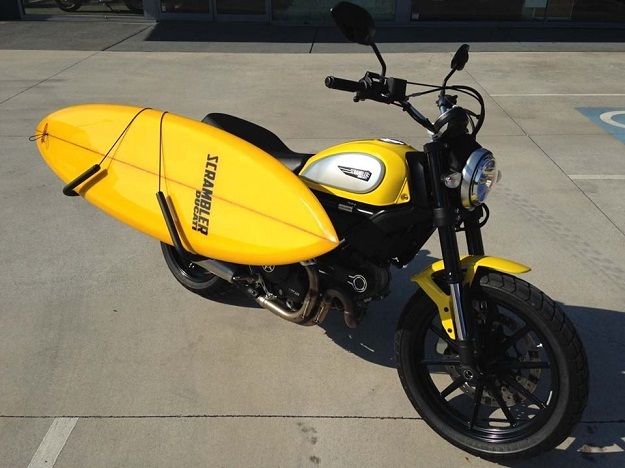 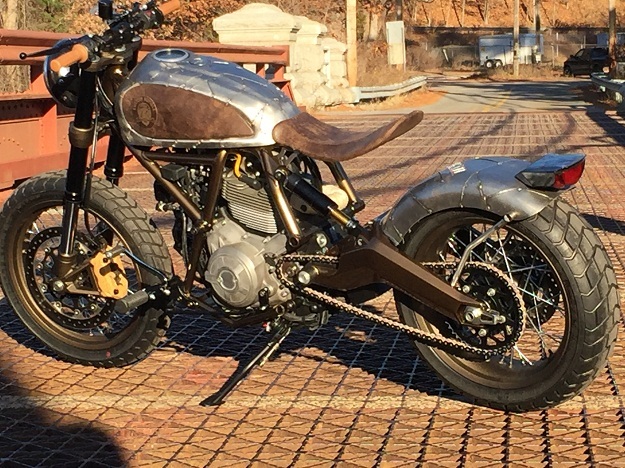 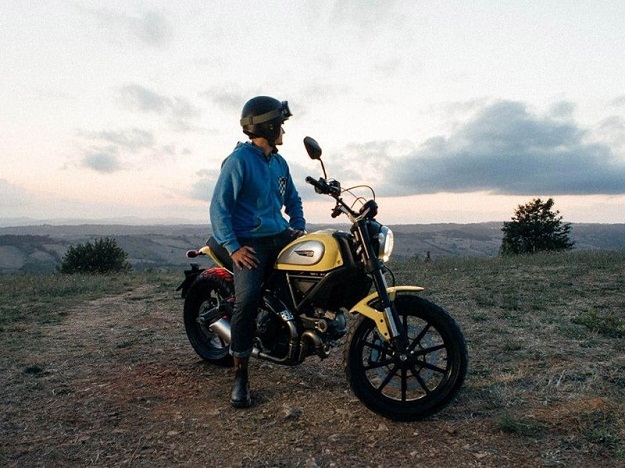 Order this sweet Ducati Scrambler kit and enjoy! 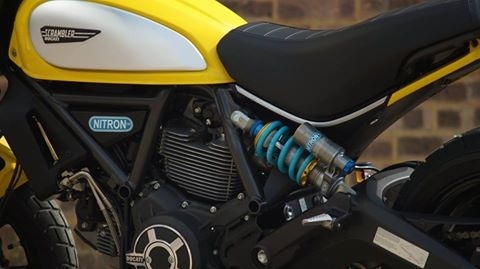 Ducati Scrambler with Ohlins GOLD Fork and Ohlins Shock combo, forks have gold bottoms and gold ti-Nitride upper inner tubes. 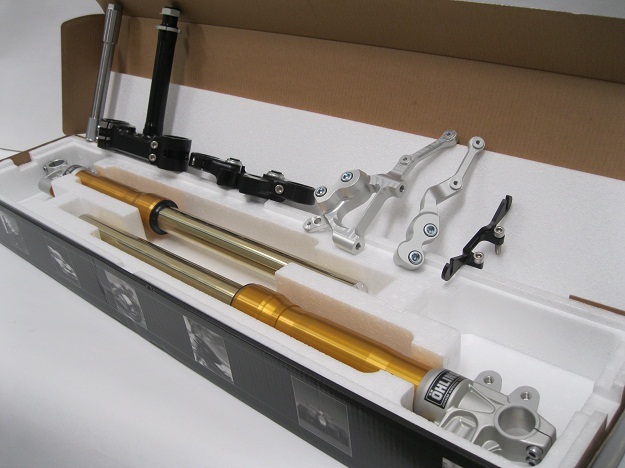 The above kit is a Complete bike kit with special Ohlins spec forks with Triple clamps, axle and calipers sold as one unit, we also can do the Ohlins rear shock with it so everything is a matched set. 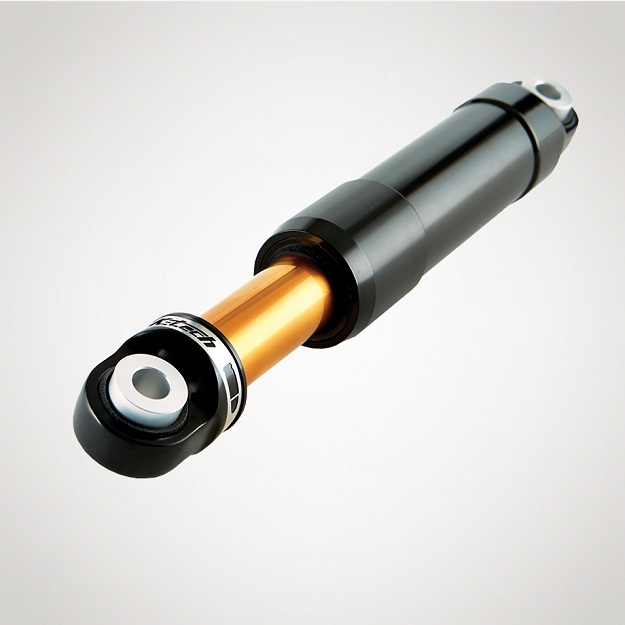 Black Ohlins Forks have black DLC coated inner upper tubes to match. 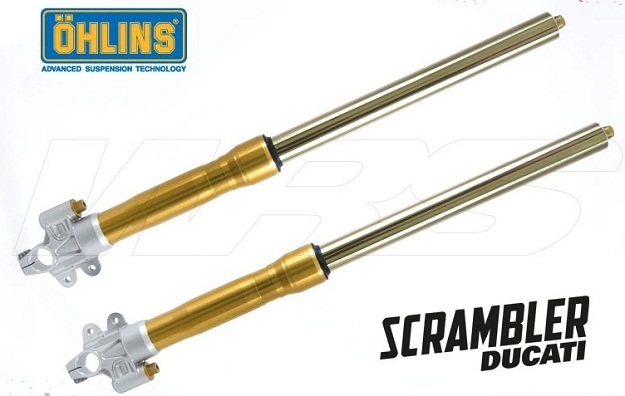 Ohlins Forks are available in black these have DLC coating on the 43mm inner legs . 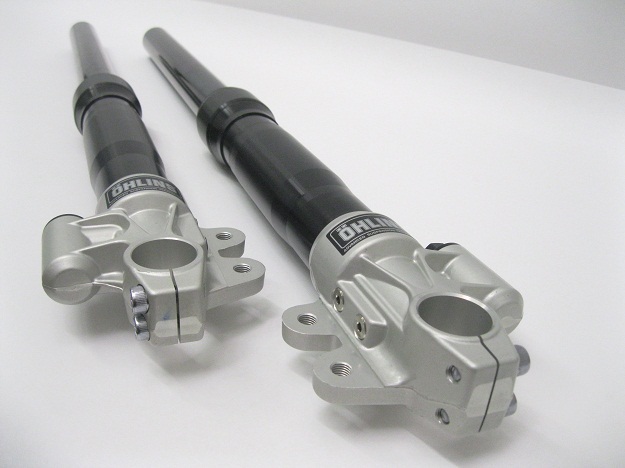 The Ohlins forks are a work of art! 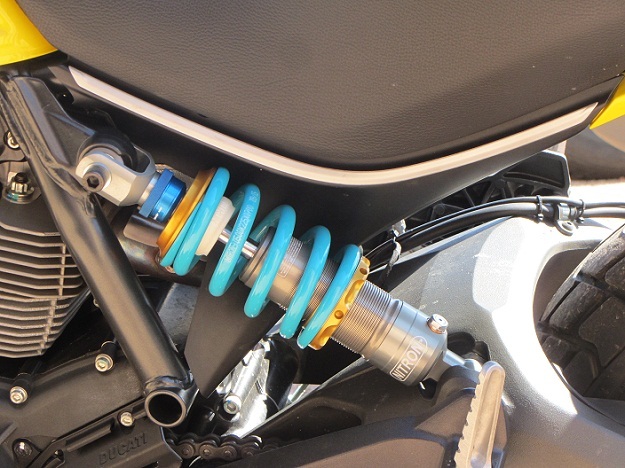 With about 45 clicks of rebound adjustment, 12 turns spring preload adjustment, and about 30 clicks compression adjustment. 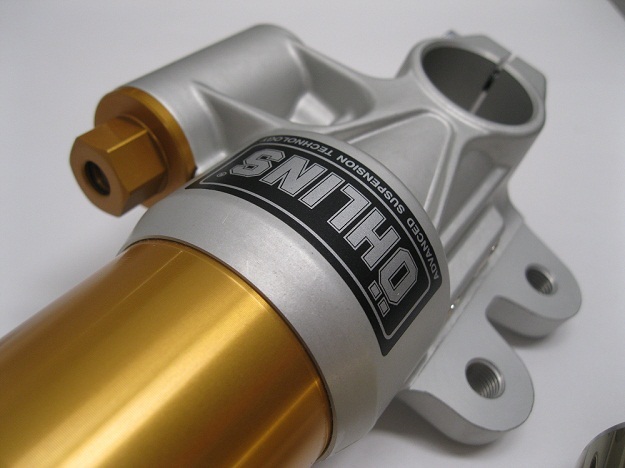 Compression is adjusted by a 3mm allen at center of black hex base valve housing. 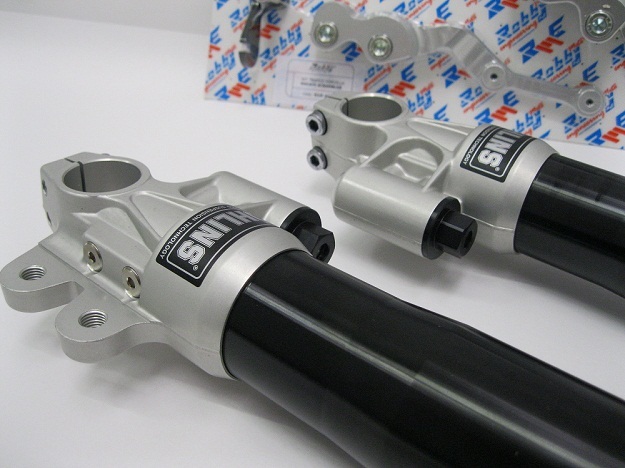 Many Shock Options, consider a 46mm body 16mm Shaft Divided fluid and nitrogen Ohlins with preset and any custom spring solutions you may need, these are surprisingly affordable for the quality. 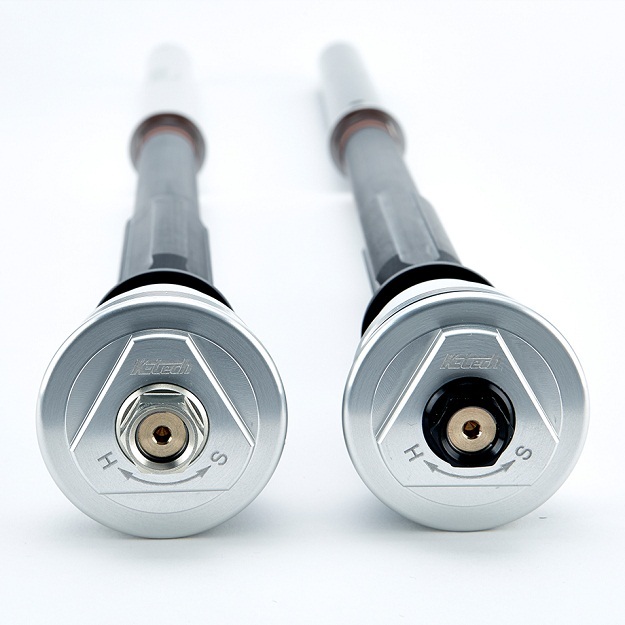 Above these are Andreani Cartridges (20mm) with Adjustable top preload, compression, rebound, a nice upgrade for a great price of only $599.95 with springs per rider weight. 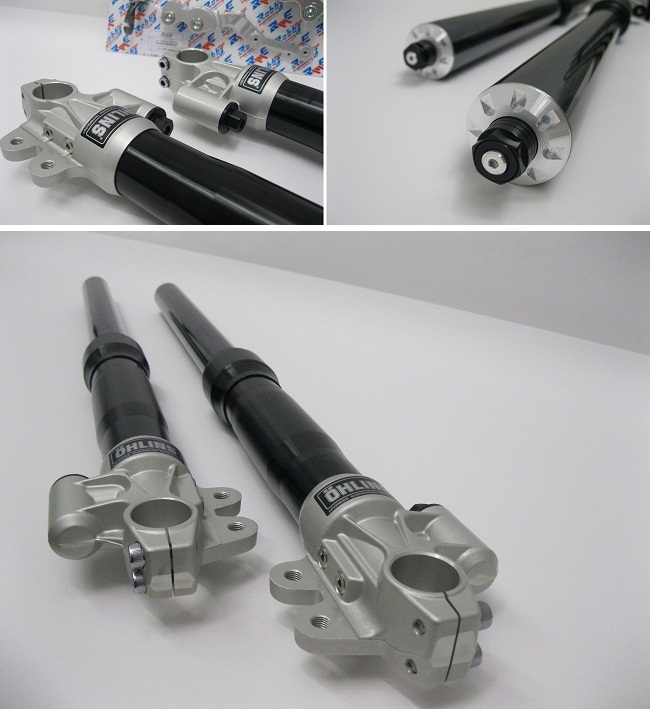 IDS K-tech or RDS K-Tech Fork System with fork springs as needed. 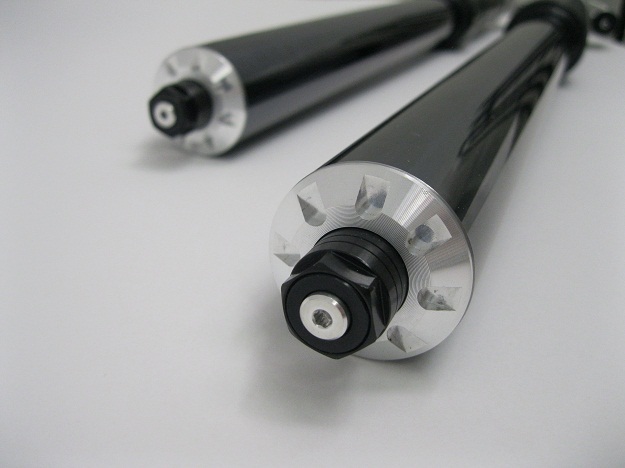 These are 20mm Cartridge $895.00 WITH SPRINGS Now with several spring Options. 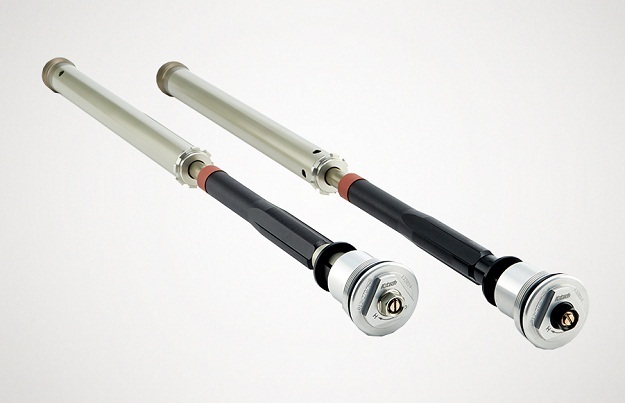 K-Tech Bullit Shock, Available in Three color SHAFT options , Gold SHAFT as shown msrp $579.95 , Silver SHAFT msrp $499.95, Nitrogen adjustable for different weight riders, sent preset ready to install as per manufacturers instructions. 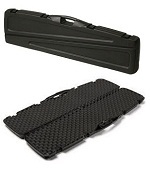 Adjustable Compression Left Leg , Rebound right leg and Spring preload both. 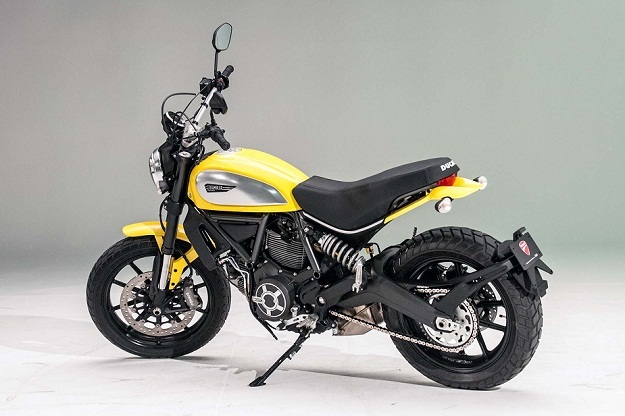 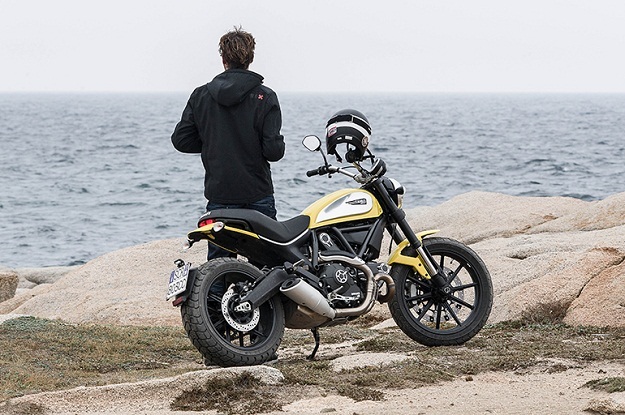 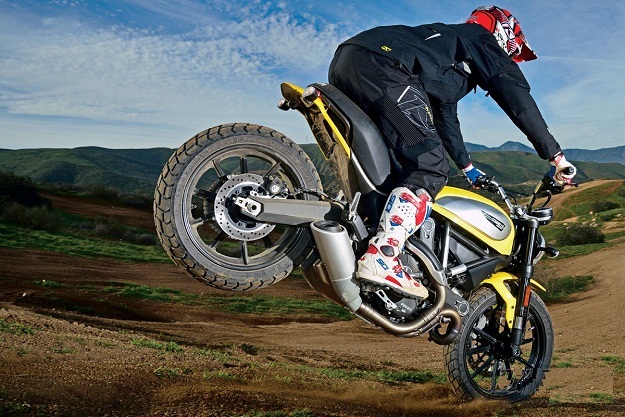 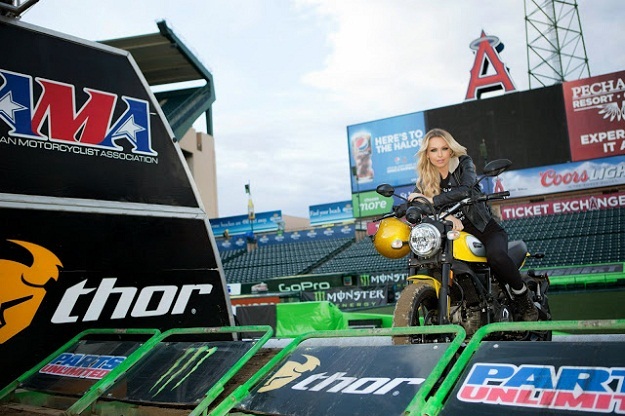 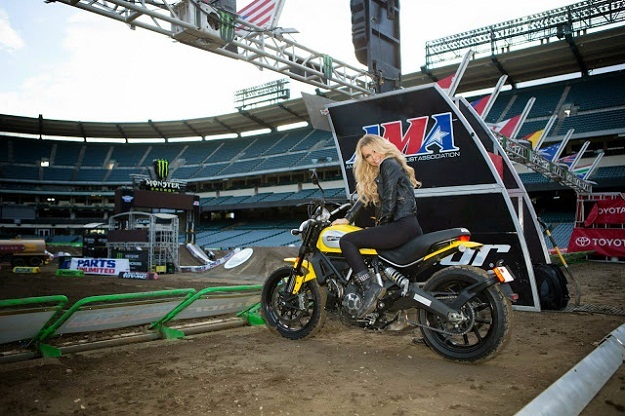 Nitron offers Ducati Scrambler shocks in several configurations and adjustments. 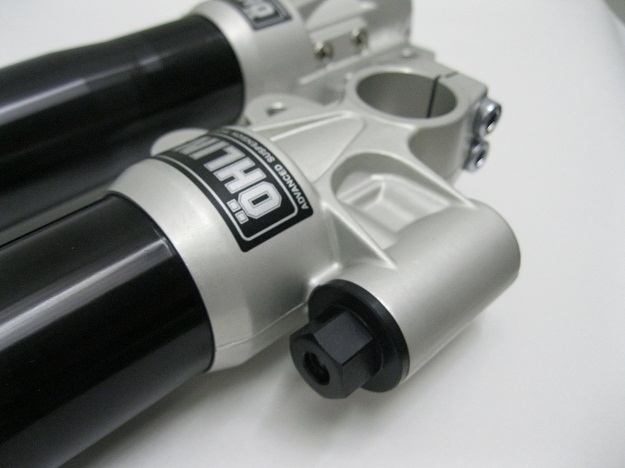 14mm shaft /40mm body ,Piggyback ,Gas separated ,D2 (compression and rebound adjust) msrp $975.00 , triple adjust add $ 100.00 (msrp $ 1075.00).